Kajol has been the talk of the town for her relatable mommy-avatar in the upcoming film, Helicopter Eela. Directed by Pradeep Sarkar, the film beautifully sketches the journey of a single mother, quite overprotective about her teenage son, played by the National Award-Winner, Riddhi Sen. 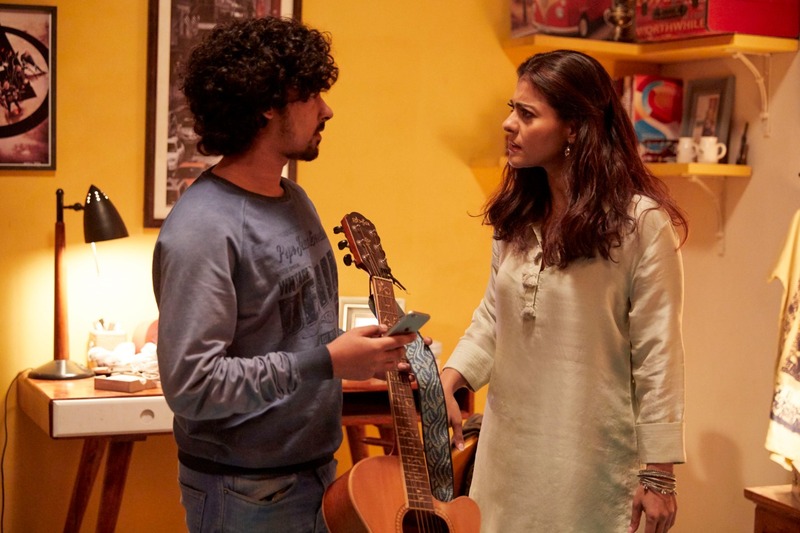 Owning her absolutely witty self on and off screen, Kajol turned into a complete tease on the sets of the Helicopter Eela and guess who became the scapegoat? It was none other than her reel son, Riddhi who tagged as ‘National Award Winner’ during the entire shoot of the film. Helicopter Eela also stars Neha Dhupia in a pivotal role and is all set to shine brightly for its endearing narrative this October. With such funny elements rolling in, we surely can’t wait to watch the film in theatres soon. Ajay Devgn & Jayantilal Gada (Pen) presents, co-produced by Kumar Mangat Pathak, Vikrant Sharma, Reshmaa Kadakia, Kushal Kantilal Gada, Neeraj Gala and produced by Ajay Devgn, Dhaval Jayantilal Gada, Aksshay Jayantilal Gada, Helicopter Eela is all set to release on 12th October 2018.